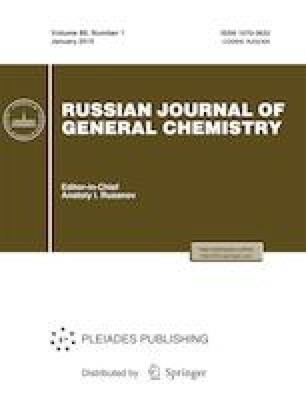 Oxidative cross-coupling of 4-acetylaminophenol (paracetamol) and its structural isomers (2- and 3-acetylaminophenols) with secondary phosphine chalcogenides at room temperature in the CCl4–Et3N system produced O-(acetylamino)phenyl chalcogeneophosphinates in a 80% yield. Russian Text © P.A. Volkov, N.I. Ivanova, A.A. Telezhkin, K.O. Khrapova, L.I. Larina, N.K. Gusarova, B.A. Trofimov, 2019, published in Zhurnal Obshchei Khimii, 2019, Vol. 89, No. 1, pp. 68–72.